How many input and output amps does 50V4160 have? 50V4160 has 72 input amps. 50V4160 has 67 output amps. What is the torque control response on 50V4160? 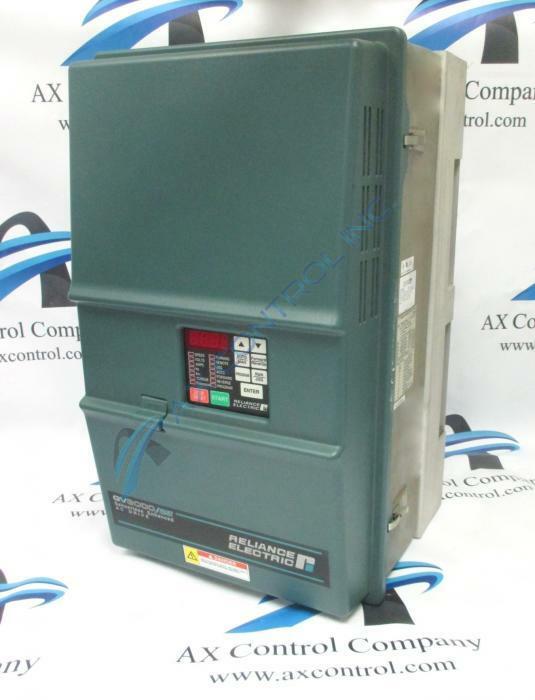 50V4160 has a 180-220Hz torque control response. What is an "OC" fault error caused by on 50V4160? Fault code error "OC" is the fault for overcurrent at a steady state on 50V4160. This fault trips at 200% rated current on 50V4160. This fault can be caused by various reasons on 50V4160. This fault can be caused by an output phase-to-phase short, bus voltage line-to-line, ground fault, momentary overload, bad 50V4160 motor, torque boost/V/Hz too high, motor unknown to 50V4160 regulator, parameter settings when 50V4160 is in vector regulation, or encoder wired incorrectly on 50V4160. There are different corrective actions for each possible fault cause when "OC" fault occurs on 50V4160. How do I find the manuals for 50V4160? We can send you links to the manuals for 50V4160. The manuals for 50V4160 are the GV3000 software and hardware manuals for NEMA style drives, which includes 50V4160. We can easily send the manuals right over to you. The manuals are Manuals D2-3359 and D2-3360.